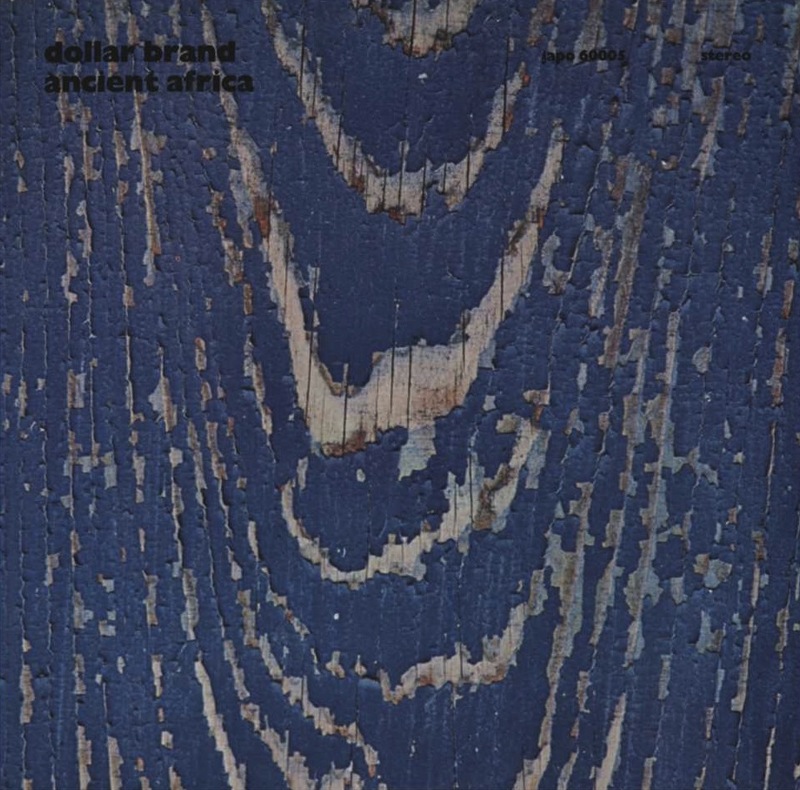 South African pianist Abdullah Ibrahim, known in a bygone era as Dollar Brand, is a soothsayer at the keyboard, and on this out-of-print JAPO release from 1974 he divines from the ebony and the ivory a lifetime’s worth of bones. Like its label predecessor, African Piano, this album was recorded live at the Jazzhus Montmartre in Copenhagen, but adds nearly three years of additional life experience to show for its mesmerizing rewards. The original vinyl is a gorgeous thing in and of itself. Sleeved in a photograph of flaking, painted wood, it reads like a structure worn by time but which is also stronger for it. The performance consists of a long piano medley of original tunes plus an encore on flute. The bulk of the set opens, as did African Piano, with an extended take on “Bra Joe From Kilimanjaro,” a quintessential tune in Ibrahim’s personal archive. Its deep-set, rocking ostinato provides all the rachises he needs to strut with plumage burning bright. If not already obvious, Ibrahim is a brother of a different feather, one whose gifts are every bit as intuitive as those of Keith Jarrett, whose likeminded penchant for gospel-infused anthemism makes an early reveal before lighting a rocket into the jubilation of “Mamma.” Ibrahim’s lush comping fleshes out the atmosphere to its fullest, smoothing with bravado into the calmer “Tokai.” A joyful spread of chords flings us into the train ride of “Ilanga” with such traction that no tracks are required. As with so much of Ibrahim’s output, an underlying propulsion lends sanctity to the overarching message. “Cherry” is a buoyant morsel of lyricism that sets us up for the heat of “African Sun,” which fades out of Side 1 and into Side 2. Both this and the following tune, “Tintinyana,” show an artist who understands the blues like few other contemporary pianists can. His take on the form is as nostalgic as a childhood tree, which continues to grow in mind even when its physical form succumbs to the axe of time. The roots of his left hand are so thick that every burst of foliage is like salt in the wounds of evil, for it knows that the divine await the righteous with open arms. In light of this, the romping swing of “Xaba” comes across as a purifying dance, an invitation to commune with exclusively musical worlds. The prayers of those worlds are to be found in “Peace – Salaam,” which ladders its way into the clouds as if they were puffs ejected from the pipe of history. Here we are invited to relax, unwind, and let our cares consume themselves into nothingness. A swell of applause brings us back to reality, and to the final “Air,” for which the keys are rested and the flute leaves the final word. And final it most certainly is, for it begins melancholy and finishes in a hunter’s dash, swift and sure.